The machine that is Brooklyn Active Mama has been in overdrive lately. I’ve got dozens (and dozens) of unedited videos sitting on my hard drive, posts catching dust in my drafts folder and several blogs I need to catch up on. Spring and Fall are always super insane on the blogger calendar so much so that I took at day off today to recalibrate. It’s tough leading a double life most days but truth is I LOVE it. I love learning. I love the excitement. I love capturing events and bringing the fun to you, my amazing readers because you are nothing but supportive and loyal. I love coming up with ideas and ways I can help you. There have been so many fun things going on behind the scenes so I figure I’d do a little check in to keep you informed of what’s been happening here! I am so excited to announce that I have been chosen as a Women’s Health Action Hero! Whew! You ever get news so good that you bury it somewhere in your brain because it’s almost too good to be true? Yeah. That. I am beyond excited! I will be reviewing lots of products and I am also an official RUN 10 FEED 10 Ambassador! This means I will have a special discount code to the race, so stay tuned for that! I had such a great time running this race last year (my first official 10k!) Women’s Health is one of my favorite magazines and I’m just so excited to be a Action Hero! Myself as well as the rest of the amazing Action Heroes will be featured on the magazines website coming soon. What?! Omg. Next week I am going to be on my first panel for the Public Relations Society of America. I will be on a panel called “Meet The Family Bloggers” where I will get to speak I front of 50-100 Public Relations professionals. And you know I already have a lot to say! Blogger friends if you have something you want me to address let me know! So as I mentioned before I am way behind on posting about events and such. I will likely be putting these up for your reading pleasure this weekend. This is definitely a detour from the usual Monday-Friday post schedule but they will be there for your consumption. They were really good too including Hope On Wheels, a beautiful Maxi-Cosi event, Scotch/Post it and so much more! Just don’t be all surprised when your Bloglovin blows all the way up mmk? 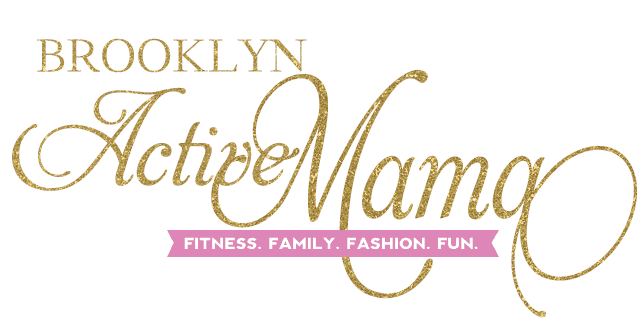 Speaking of Bloglovin, Brooklyn Active Mama reached a milestone a few a weeks ago–500 followers! Thank you for that because I personally treat my Bloglovin like I do my home–I don’t let just anyone in. I appreciate you for that! If you haven’t subscribed yet you can do so here! What is good in your world? Tell me something great! Brag away!!! Congrats Nellie! You are truly the model of women’s health! I can’t wait to hear about the exciting things to come! So much greatness here and you deserve it all! I love that you’re an official action hero!! I also love that you’re representing bloggers on your first panel. I would pick you to represent every time!! Awesome! You are amazing Nellie! So excited for your successes and look forward to seeing all that Bloglovin’ goodness this weekend! Keep inspiring! Congrats to you! Weekends are pretty good when it comes to posts I find that I get way more traffic so this may become a new thing for ya. Congratulations! All these accomplishments and honors are well deserved. 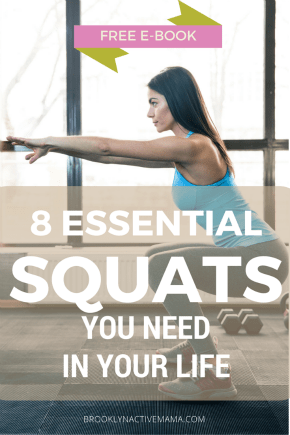 You are definitely an inspiration for living a healthy and (very) active lifestyle. I’ll be sure to clear out my Bloglovin feed before the weekend so your posts can be right up front! Congratulations!!!! You are doing it, Sister!!!!! Wow – so much great news here today!! 500 followers is awesome! Kim recently posted…Too Many Rewards? congratulations on all your exciting news! I think they made such a good decision to pick someone as inspiring and active as you! I can’t wait for my Bloglovin to explode! I’m ready. And congratulations to so many honors. I think I’m like you. I do need breaks but ultimately, not for too long. I love doing this. I just love it. Tamara recently posted…Who Was My First Crush?